For two decades Bruce Robbins has been a theorist of and participant in the movement for a "new cosmopolitanism," an appreciation of the varieties of multiple belonging that emerge as peoples and cultures interact. In Perpetual War he takes stock of this movement, rethinking his own commitment and reflecting on the responsibilities of American intellectuals today. In this era of seemingly endless U.S. warfare, Robbins contends that the declining economic and political hegemony of the United States will tempt it into blaming other nations for its problems and lashing out against them. 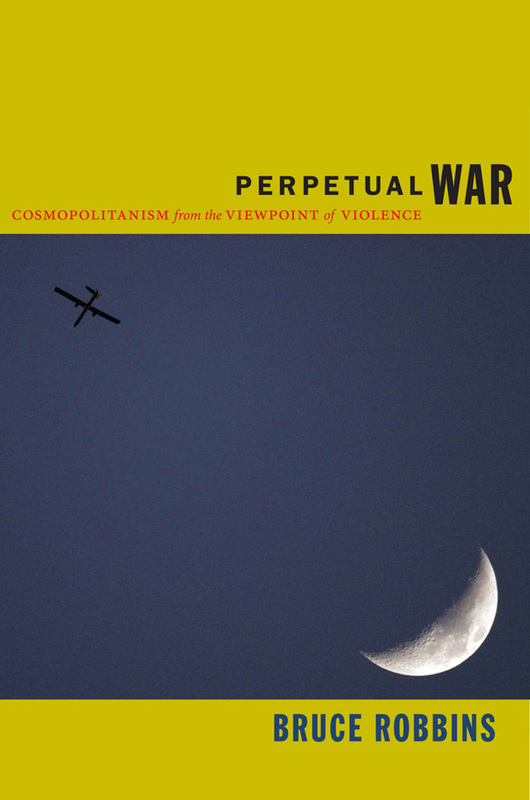 Under these conditions, cosmopolitanism in the traditional sense—primary loyalty to the good of humanity as a whole, even if it conflicts with loyalty to the interests of one's own nation—becomes a necessary resource in the struggle against military aggression. To what extent does the "new" cosmopolitanism also include or support this "old" cosmopolitanism? In an attempt to answer this question, Robbins engages with such thinkers as Noam Chomsky, Edward Said, Anthony Appiah, Immanuel Wallerstein, Louis Menand, W. G. Sebald, and Slavoj Zizek. The paradoxes of detachment and belonging they embody, he argues, can help define the tasks of American intellectuals in an era when the first duty of the cosmopolitan is to resist the military aggression perpetrated by his or her own country. Bruce Robbins is the Old Dominion Foundation Professor in the Humanities at Columbia University. He is the author of Upward Mobility and the Common Good: Toward a Literary History of the Welfare State and Feeling Global: Internationalism in Distress, and a coeditor of Cosmopolitics: Thinking and Feeling beyond the Nation and Immanuel Wallerstein and the Problem of the World: System, Scale, Culture, also published by Duke University Press.